My bookshelf is bursting with cookbooks (we are talking three digits) and though in an ideal world I would be using all of them in a real world very far away I often end up revisiting my old favourites. "Use more cookbooks rather than using the same ones over and over again: I own several cookbooks. But you know what like a lot of you out there (please tell me you belong to this group) I end up using the same ones each time for they and I have made this little bond over the years. They are familiar and I trust them. They help me when life takes over and I have to get a meal on the table each night. But this year I am going to get to know my other “friends” a little better". I would say I did okay on that front. This year I was determined to dive into more of my collection. Some I cooked from, some I opened for inspiration, some helped in my work and some made my bedtime happier. I am often asked which ones are my favourite, which ones would you recommend, which ones make thoughtful gifts and more. Last year I did attempt to share little notes on some of them on the Orange Kitchens Facebook page here and here but I realized only a handful of crazy cookbook lovers and more importantly readers with immense patience were actually going to work their way through the mammoth album and reading each note. With Christmas just around the corner and 2015 almost here this post will give you a quick tour on books that have worked for me (it could be different for each one of us and some of you cookbook junkies please do give your opinions I'd appreciate that), those I think would make memorable gifts this Christmas and some that I think would be nice to include in your collection to expand your repertoire of recipes in 2015. Some were and are my bibles and some I decided to have a casual fling with this year. Looking back I think we are in for a long lasting relationship now. 50 great curries of India: I have lost count of the number of times I have cooked from this book. I have tried and tested almost all the recipes and each one is a keeper. My favourites have to be the dalcha (meat with lentils), kaali mirch cha mutton (lamb with herbs and black pepper), kori gashi (chicken in thick coconut gravy) and the annas curry (pineapple curry, really love this one!). The book gives you a taste of some of the finest recipes from India and a good book to have in your collection. 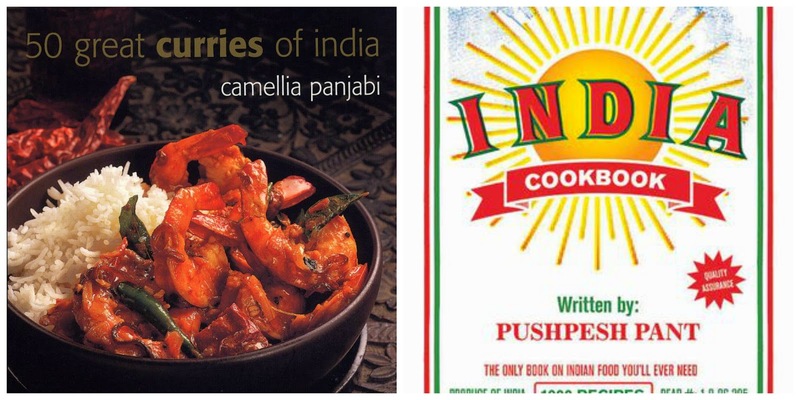 India Cookbook: Don't let the size of this book intimidate you. True to what is written on the cover if there is only one book that you can have in your kitchen library then this is the only one you'll ever need. Written by Pushpesh Pant, a noted Indian academic, food critic and historian India this book was named by The New York Times as one of the best cookbooks of the year and rightly so. It takes you through the length and the width of the country and makes you marvel how flavours changes every hundred miles in India. Hajra's recipes of life, for life: This is not a book that you buy for pictures. You buy this one solely for the recipes. Cutchi Memon food straight from the heart. khatti dal gosht (Tangy lentils with mutton), kadhai keema (Open pan cooked mince), ande ki kari (Egg curry), kofte ke salan ( Spicy meatball curry), baghare baingan ( aubergines in a piquant sauce), aam ki khatti mithi chutney (sweet and sour mango chutney) and ofcourse the many many biryanis. If you love Muslim cooking then this is a must have. Also the book comes in the form of menus which is awesome because someone has already taken care of all the menu planning. Calcutta Kitchen: The book is about Bengalis and their love for food and more. It carries many a stories and recipes from the heart of a Bengali kitchen but also talks about the Raj era, the Muslim culture and the Portuguese influence when it comes to food. A mesmerizing read from Simon Parkes. Kosho Mangsho, shorshe baata maach (fish with mustard and chillies), doi maach ( fish with yogurt), chingri maacher malai curry (shrimp and coconut curry), begun shorshe (eggplant with yogurt and mustard) and cholar dal (yellow split peas with coconut and raisins) appear very often on our dinner table. The Suriani Kitchen: Latika starts with a great foreword on Syrian Christian Cuisine and takes you to her grandmother’s home and narrates magical family tales. Paddy fields, palm trees, ferrys,kappi...you get the idea. I heart the black and white illustrations and her memories of family that are interwoven with the recipes. Avial (mixed vegetable curry), kaalen (Mango & yogurt curry), parippu (lentils with coconut milk), meen arapu roast (spiced fish roast), meen vevichathu (yesterday’s fish curry), meen molee are some that we have often at home. My Paris Kitchen: Recently added to my ever growing collection of books this one is lush beautiful. One that you read because over the years you've fallen in love with a man called David Lebovitz. His stories and his life in his tiny kitchen at Paris and how he celebrates his life, his friends and each day through food. The bread, the cheese, the wine and the chocolate. Fresh produce too. If you want to travel to Paris sitting in your room this book is what I would recommend. Around my French Table: If it has Dorie’s name written on it then it really doesn't require any explanation. Does it? France has always intrigued me and Paris happens to be my favourite city in the world. I would give anything to live there. Years back when we went there I had a tough time coming back:) Dorie writes the book in such a beautiful and personal tone. It’s my ambition to cook my way through this one. The lovely photographs, the coffee table like look and Dorie’s to-die for recipes keep tempting me to come back to it. Oh! Butter! The Silver Spoon: Want to get acquainted with all the elements that come together to make a great Italian meal...the ingredients,the sauces, produce, et al then this massive book is a must have in your cookbook library. It is a classic. But not a book if you like stories behind each recipe. This is straightforward with directions and ingredients from all over Italy and really very easy to use. 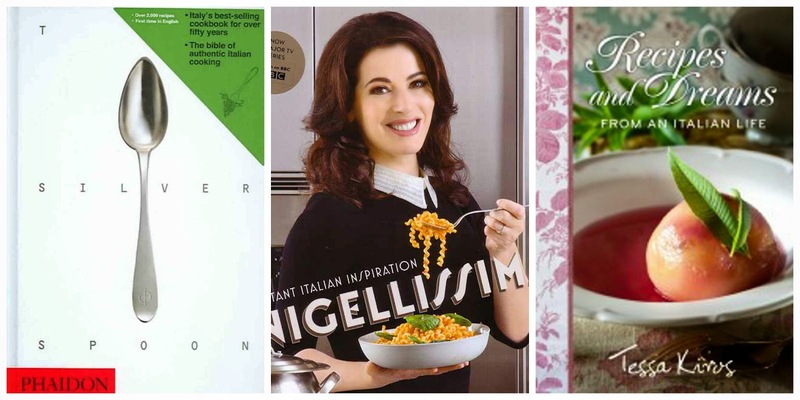 Nigellissima: This isn't the book if you want authentic Italian Food. But if you love Italian food, simple and quick recipes and prefer to work around the ingredients you have on hand then this book is for you. Lets just say it is Italian with a British accent and it is for Nigella fans really. Recipes and dreams from an Italian Life: There is something so beautiful about Tessa Kiros...the way she talks, the way she cooks and the way she puts her books together. I had the pleasure of meeting her early this year and it made my love for her stronger. This book is the kind of heirloom you want to leave for your children, It is the kind of book I want to write for my girl. Family recipes, stunning pictures and that Tessa stamp all over the book. 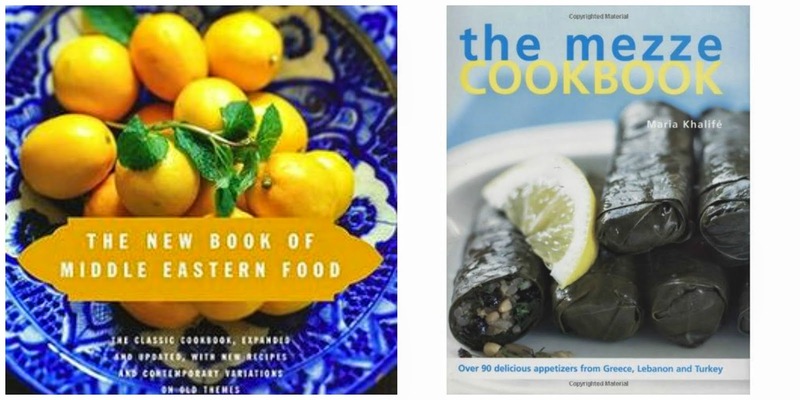 The new book of middle eastern food: It is my bible-my encyclopedia on Middle Eastern cuisine. Its an old classic printed originally in 1972 and has been called “the landmark in the field of cookery” by James Beard. The book has very simple and very healthy recipes from all the four regions; Iran, Arab cooking from Syria, Lebanon and Jordan, Turkish cuisine and North African cooking ( Morocco). If you like to see pictures then this is not the one for you. It has over 800 recipes but only about 24 pictures. 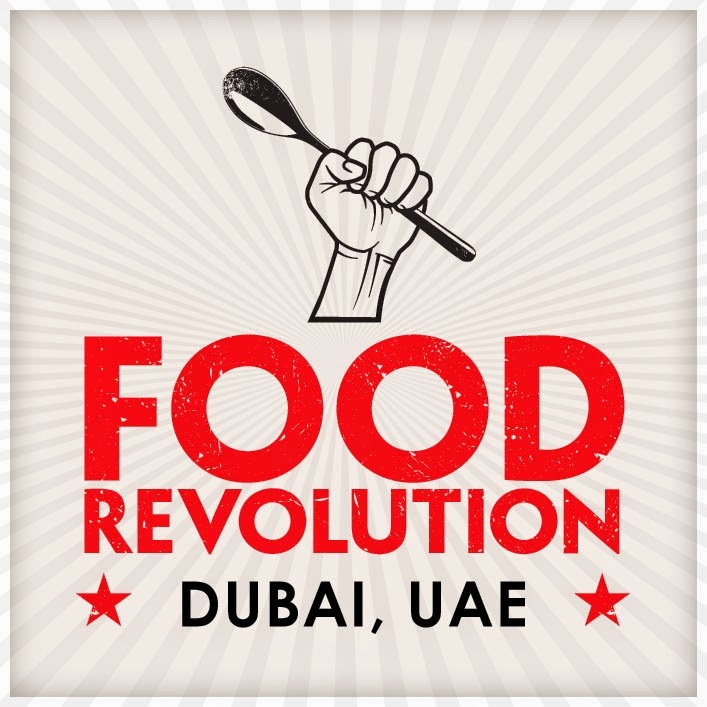 But if you like the idea of reading all about the middle eastern cuisine...the history of the food, classic cooking tales, eating habits, many many snippets from literature and more. I have cooked so much from the book that I am not sure which recipes I like the best. Having said that the salad section in my favourite. The mezze cookbook: As a child I would often dream of hosting pretty tea parties complete with delicate china, doilies, sandwiches and teacakes. As I grew up I realized I disliked tea and coffee was made for me. But I still lived with the romantic idea of enjoying little bites with friends and families. Only they were not very British but middle eastern. If you love mezze, get this one. The hummus beiruty ( Beirut style chickpea dip) gets made by kilos at our home and so is the Mohamra (walnut dip). Gemista (stuffed vegetables) is another gem. Over 90 delicious appetizers from Greece, Lebanon and Turkey. Bill's everyday Asian: A big favourite once again. Whenever I don’t have any energy or the enthusiasm to cook I turn to this one. It instantly gets me all excited plus I like the fact that when it says Everyday Asian it really means recipes for everyday cooking. Almost all of the recipes ask for very little chopping, very few ingredients, cooking time is very little (well most cook on their own in the oven) and are very healthy. Seoultown Kitchen: I adore kimchi. I can eat it for breakfast, lunch, dinner and then again the next day. Crazy right? And when someone shows me how to make not one but several types and how to pair it with different foods then I love it! Classic napa baechu kimchi, daikon kimchi, cucumber kimchi, a kimchi aioli, kimchee broth, kimchi salsa...all yum! Vietnamese Food: I like this one more for his journey than the recipes (the recipes are good too); from the corporate world and for taking that leap of faith and following his food dream. Resonates with me, each time I read it. If ingredients like crispy fried shallots, roasted peanuts, marinated chillies, fish sauce and lemon oil make you salivate then go and get this one now. Baking: Dorie visits me kitchen again. Love love love the book. Not your night time reading book simply for the fact that this one will definitely require some muscle to lift. Blondies and brownies, cookies and cakes, pies and tarts...each needs to be tried at least once. They never ever fail to deliver. A must have if you love baking and she gives you so many variations of the same recipe (playing around) which is what I love about the book the most. Booze Cakes: Is there a better than thing in life than booze plus cake? Really, I ask you? A match made in heaven. Classic cakes like the honey spice beer cake,golden rum cake, trifles. Cake shots like the pina colada cake shots,rum and cake or the long island iced tea cakes. Wait there is more...homemade booze! Oh and all the recipes are rated on the booze meter Lightweight, feeling it and totally tipsy. Got to love a book like this. Plenty: This man taught me how eggplants can be so much more than baigan bhartha. With buttermilk sauce, with soba noodles, with lentils, with tahini. Spectacular recipes. Some recipes are pretty straightforward and some I should mention require special ingredients, time and skill. Is it worth the effort? Yes. The next time someone tells you vegetarian food is boring and you can't do much with just vegetables show them a recipe or two from this one. World Vegetarian: Over the years I have constantly made an effort to include more veggies in our diet and just when you think there are only so many ways one can cook okra or beans or even the humble potato. 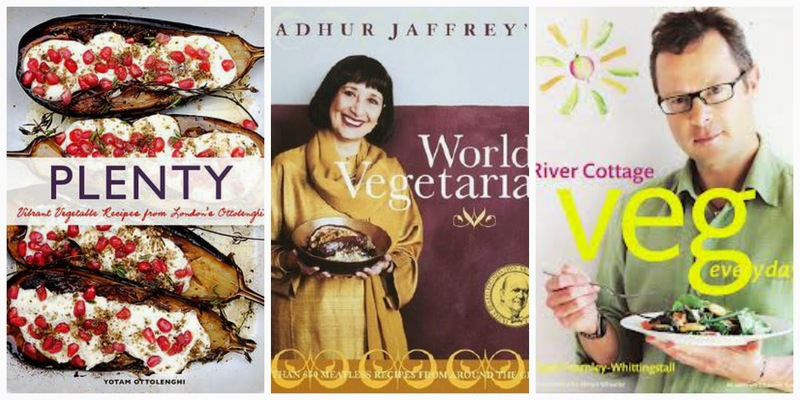 enters Madhur Jaffrey. A thug book weighing as much as my daughter and with virtually no photographs but indispensable in my kitchen. The book is neatly organized by ingredients (vegetables,lentils, and has the name of the country where the recipe is from. River Cottage Veg Everyday: I adore this one for its easy and clean recipes and its watercolour like illustrations. Vegetarian dishes that have such great flavours and depth. Once again a book that stays more in my kitchen than on the bookshelf. 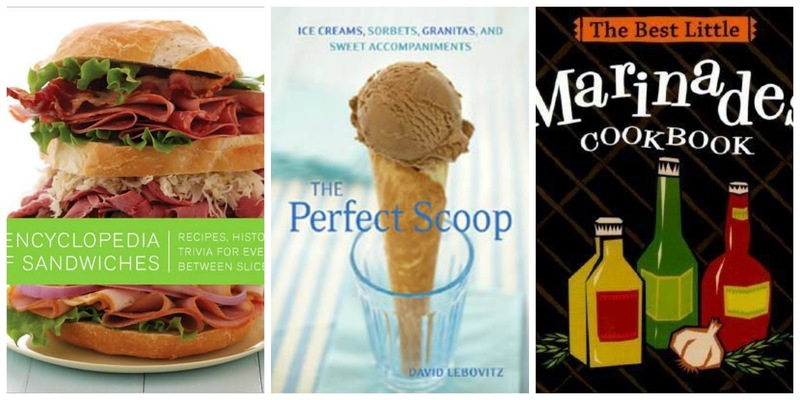 Encylopedia of sandwiches: A book that comes in the shape of a sandwich, has the history and hundreds of recipes for sandwiches from all over the world and is my savior so many times a month when all we want to eat is a sandwich for lunch. 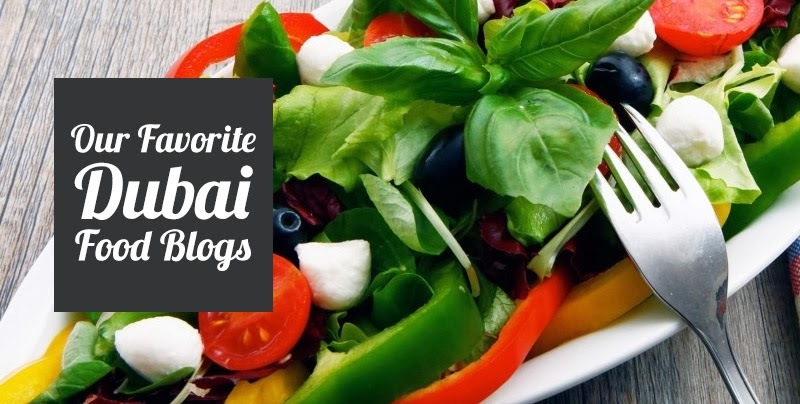 Written by blogger Susan Russo of Foodblogga; a blog that I was introduced by another fellow blogger; the book makes you look at the humble sandwich with new eyes. The perfect scoop: You’ve got to love a man who has a great sense of humour, creates luscious icecreams, gelatos, sorbets and granitas,writes well and umm...lives in Paris(?). Another book from which I have tried nearly everything and has never disappointed me. The perfect scoop and my ice cream maker are my best friends. Oh and if you haven’t read his book The sweet life in Paris then you must. The best little marinades cookbook: Most days when I stand in front of the refrigerator praying that dinner should materialize on its own, this book always comes to my rescue. Don’t be fooled by its size. Tons of inspiring, zesty marinades, dry rubs, pastes and more that have often helped me to put together a meal with whatever I have in my fridge and my pantry. The flavour thesaurus: An essential on any food lover's bookshelf. It inspires you,surprises you, provokes you, teaches you...and more. 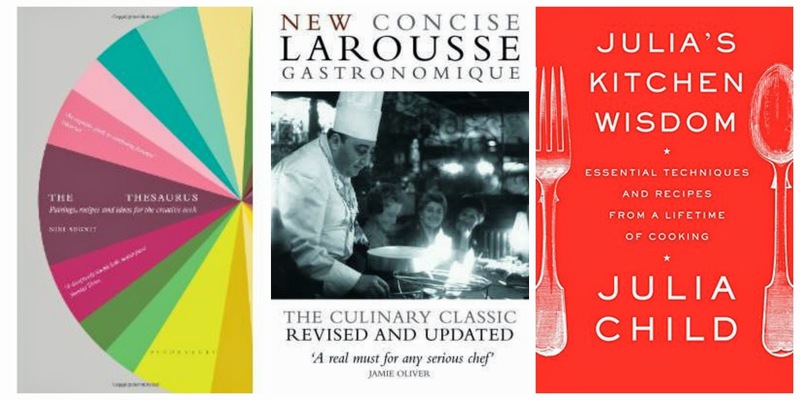 Larousse Gastronomique: Want to know ANYTHING & EVERYTHING about food and cooking? Go to this one. Julia's Kitchen Wisdom: For Julia lovers. You can either love this woman or loathe her. I obviously love her. Love her for the ease with which she cooks, how forgiving she is of herself and others who cook for her, how butter and chocolate are her best friends and she isn’t ashamed to admit it (though in her latest avatar she seems to have lost a lot of weight and is clearly staying away from both). I love her for the beautiful stories she tells about her family and friends. Feast: I like how the book has been divided by festivals/occasions and gives menus for kinds of get togethers. 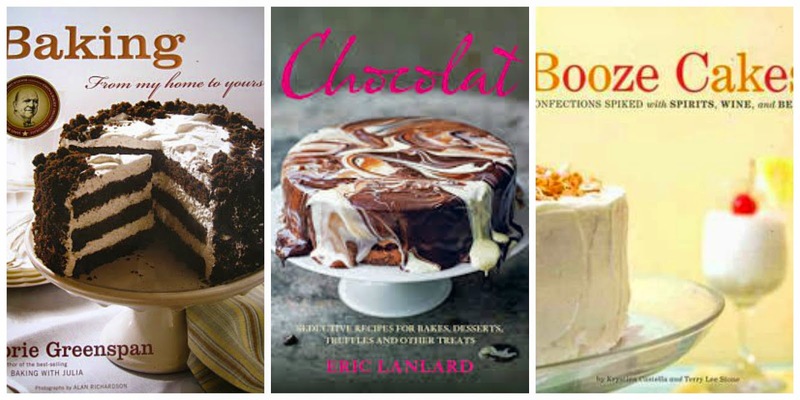 The chapter on Chocolate (Chocolate cake hall of fame) is used the most at our home. 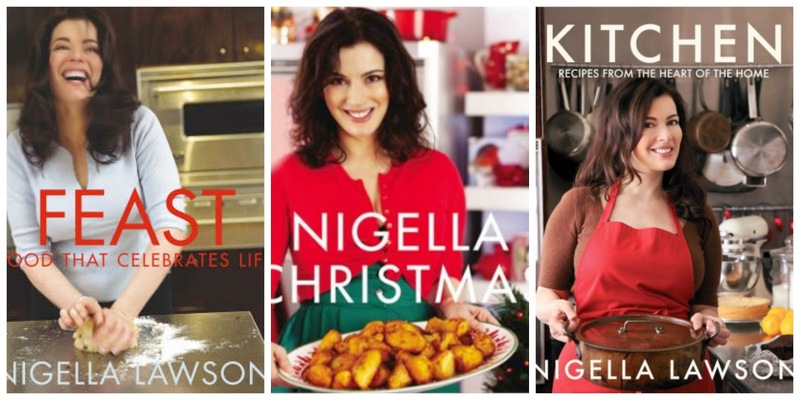 Nigella Chrismas: If you need a good reason to buy this one it has to be for the incredibly easy chocolate fruit cake. Its part of out Christmas menu every year (along with many other desserts and hot spiced cider ofcourse) and no one seems to get tired of it. Aah..and also the christmassy pics that put you in "it's beginning to look a lot like Christmas" mood immediately. Kitchen: The book is comprehensive, cozy and gives great comfort. 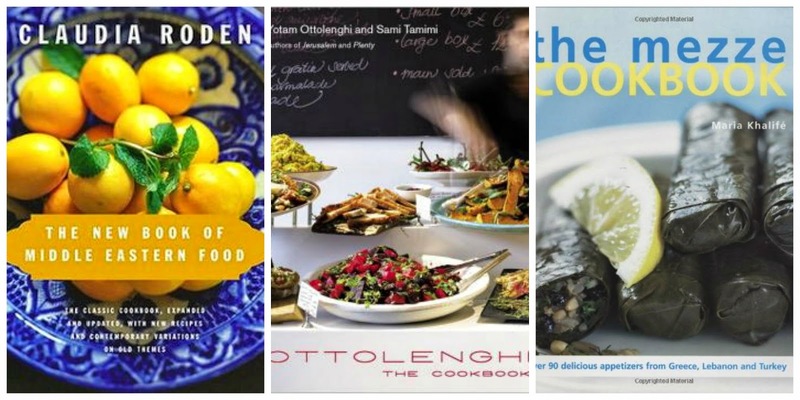 Ottolenghi the cookbook: I couldn't have hit publish without including this one. The thing is I couldn't decide which category to fit this one in. It has a little of everything. You will obviously notice a strong influence from Jerusalem but there is also Italy, North Africa, Lebanon and more. Chocolate fudge cake. Check. Apple and Olive oil cake. Check. Orange polenta cake. Check. Carrot and walnut cake.Check. Almond and orange florentines. Check. Unusual and innovative combinations and each one works. So there you have it...some of my favourite cookbooks. I'd love to hear your recommendations. 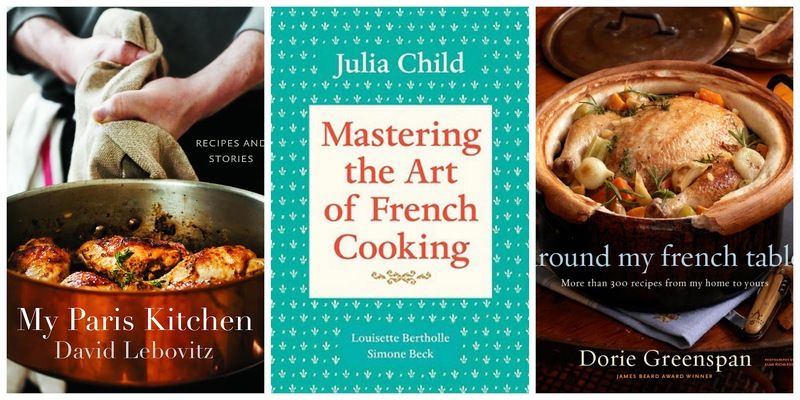 Do you like gifting cookbooks? Which book is on your wishlist this Christmas? 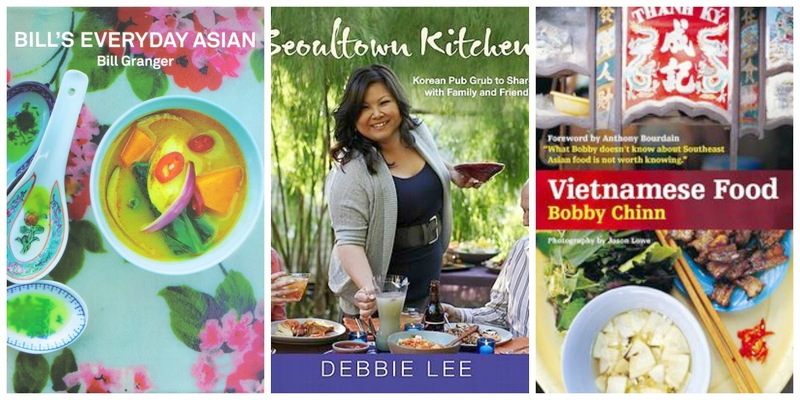 Visit my cookbook library here. I share your obsession so loved having a look on your shelves. Some of my favourites in here too. Enough of food tasting events, we must catch up for book tasting.